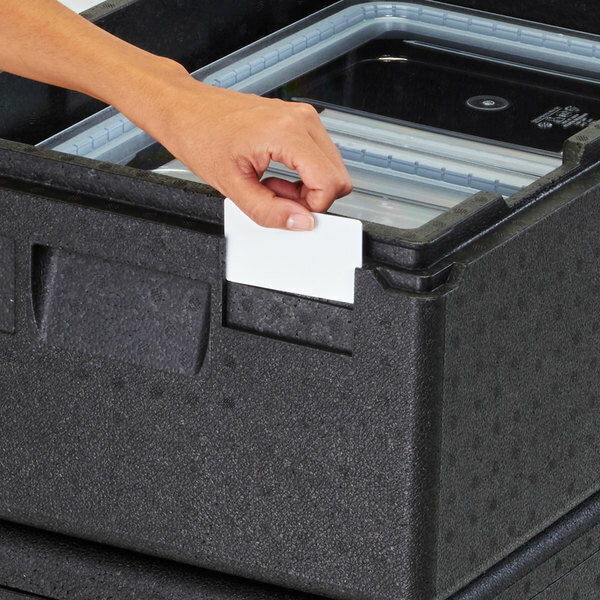 Keep your food organized when using Cam GoBoxes by adding these Cambro EPPID5 plastic ID labels. Each pack comes with a red, white, green, yellow, and blue label, so you can use a color-coded system to organize your food service if desired. They are designed to fit in the label slot on any Cam GoBox for immediate identification. 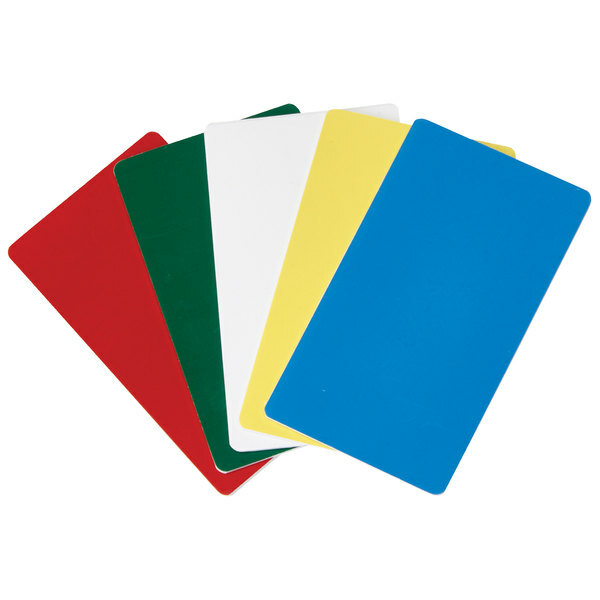 Made of durable plastic, these labels can be used again and again. You can write on them with a marker and wipe clean after use, use the colors alone as an identification system, or even put stickers on this label. Whichever way you want to use them, these labels are sure to increase your organization and efficiency while using Cam GoBoxes to transport food to events and parties.